It may not completely surprise you to find out that I have not always been a runner. I spent a lot of my youth not running. And doing whatever I could to continue to ‘not run’. And then once I was all grown up, for some reason, I decided to see if I could. Run. It turns out I actually can. And I actually like it.I’m not fast and I’m not out to beat anyone but myself and the demons in my head that tell me I can’t do it. Running is my sanity break from the rest of the craziness in the world. It’s how I prove to myself that I can set goals and achieve them. When I’m not running, I’m busy being a Primary school teacher or travelling, both things I’m equally passionate about. 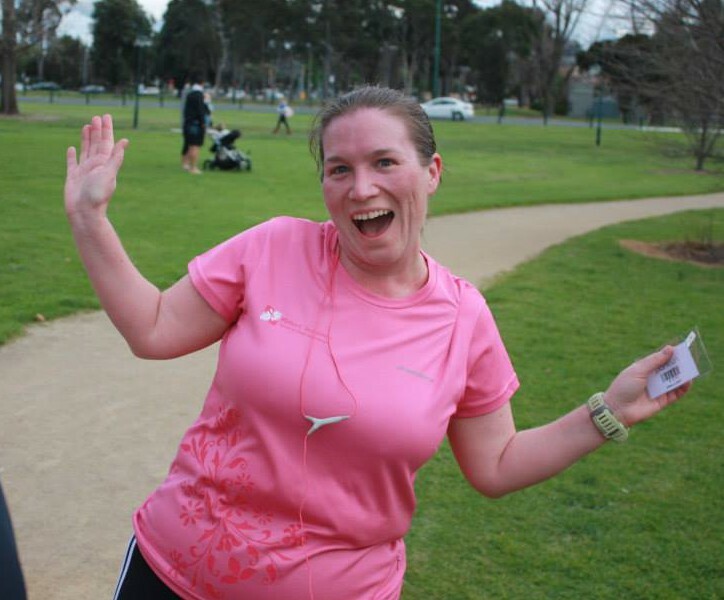 This photo was taken at my first parkrun event in Melbourne, when I was clearly still under the influence of a running induced high. Over 100 parkruns later, it still hasn’t stopped. If you haven’t heard of parkrun, check it out – www.parkrun.com.